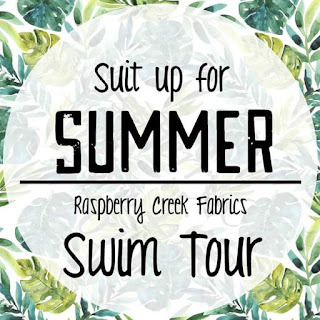 Welcome to the second installment of the Suit Up For Summer Swim Tour! 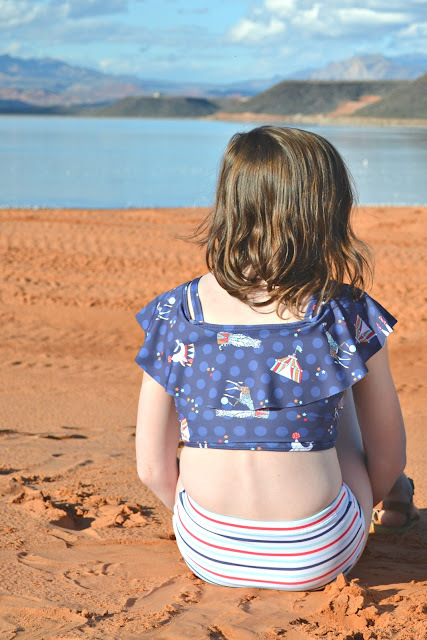 A couple years ago Tami from Sew Sophie Lynn and I put together the first tour and figured it would be the perfect thing to try and drive the winter weather away this year! 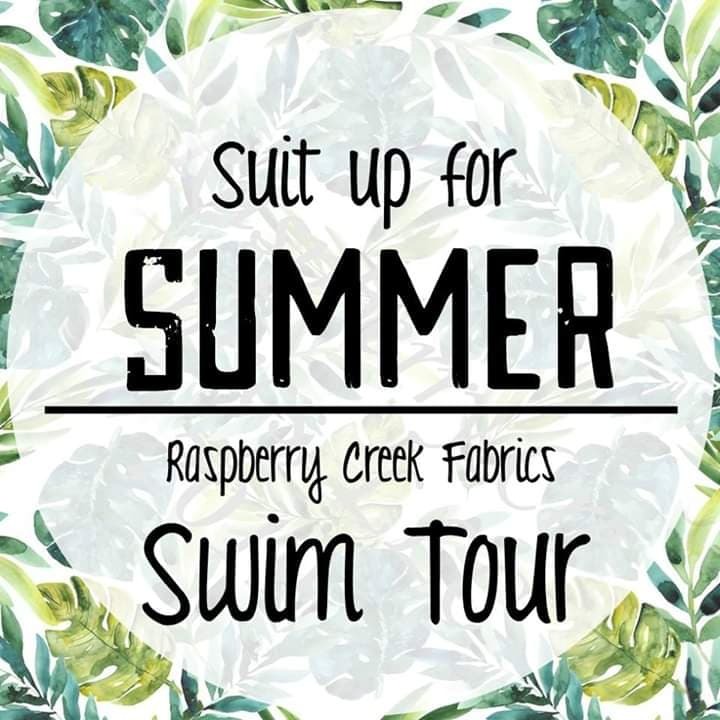 Each day this week we'll be sharing a swimsuit made from Raspberry Creek Fabrics new swim line along with links to some amazing bloggers to give you some inspiration for your summer suits. 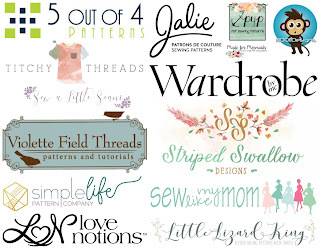 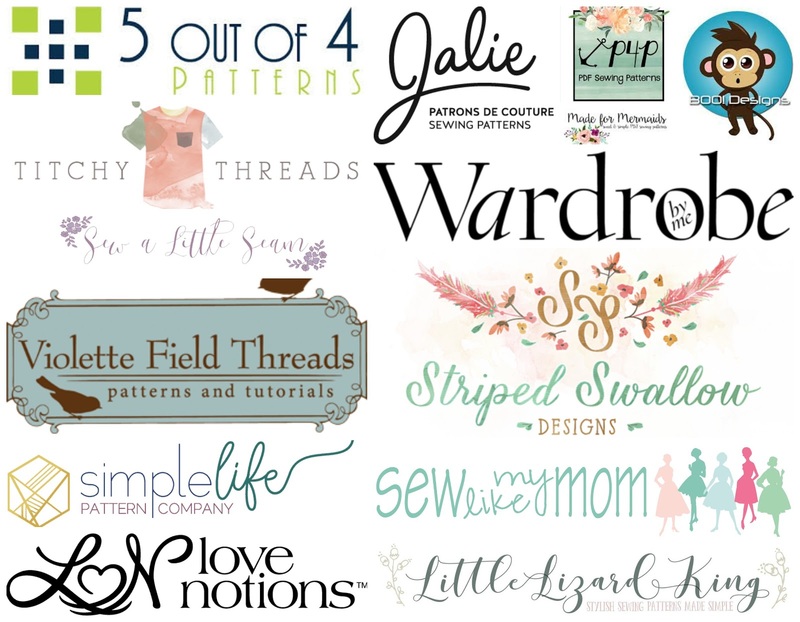 There are also some discount codes to some awesome pattern companies, so make sure you read down to the end! The suit I'm sharing today is the Boo Flounce Dress hacked into a swim top in Circus Animal in Blue paired with the Boo Swimmers Classic Briefs in Circus Multi Stripe. My girls have been all about the flounces this year and Zoe isn't the only one that will be sporting one this summer! 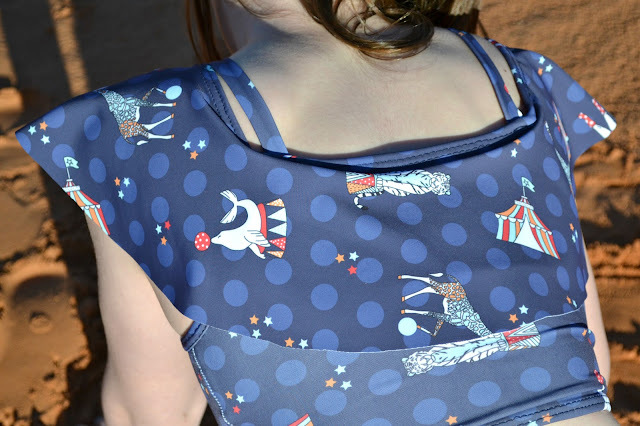 Most of the time she kept the flounces on her shoulders, but there are straps on the suit so she can have them down on her upper arm. 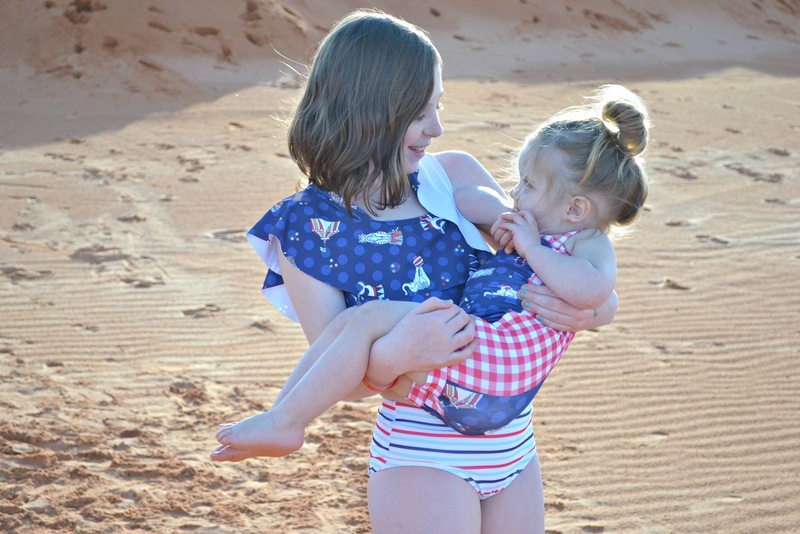 She's my child that is always begging me to have another baby, so she loved playing "mummy" to these two!